Ed Perry, President and CEO of Mid Atlantic Freight Group, has been in the transportation industry since 1979. With over 30 years of experience, his knowledge of sales, marketing, operations and pricing, has propelled Mid Atlantic Freight Group to be one of the most reliable transportation sales companies in the industry. 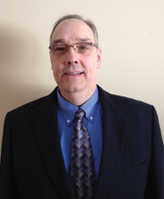 Ed began his career with a small carrier based in northeastern Pennsylvania, where he gained valuable experience in dispatch operations, sales and pricing. He then had the opportunity to work for one of the largest refrigerated trucking companies in the United States. Ed started in customer service where he excelled and was promoted to Director of Customer Service. He then was promoted once more and tasked with managing the marketing and pricing group. As Director of Marketing he was responsible for all marketing and pricing, for a 1000 truck fleet. Two years later he was promoted to Vice President of Sales/Marketing, with the responsibility of managing, sales, pricing, marketing and customer service.